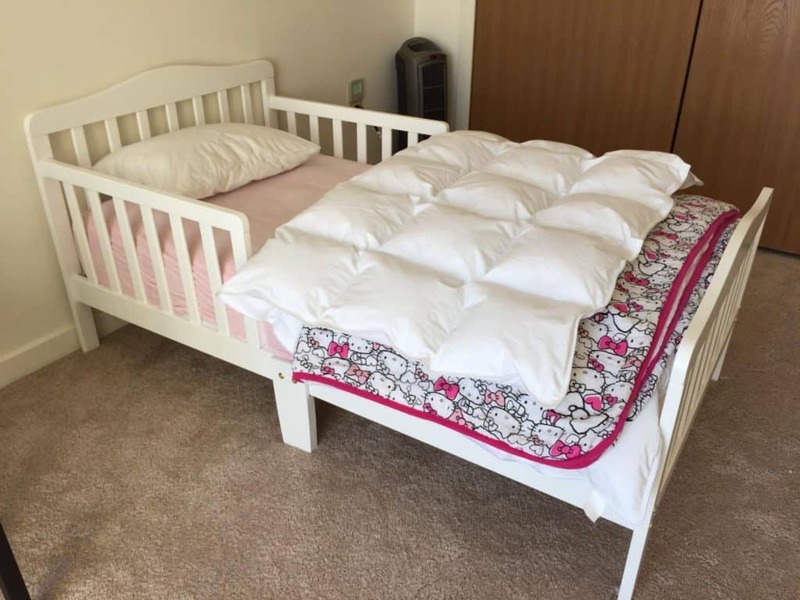 To Toddler Bed or Not? 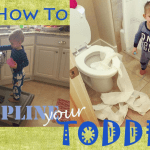 Our youngest is two, and is recently making the terrible twos a reality at our house. In fact, he has been climbing out of his crib for some time now, which makes me wonder: do I put him in a big kid bed, bypassing any kind of transition, or just switch from his crib into a toddler bed? In the past, the answer to that question would easily present itself. 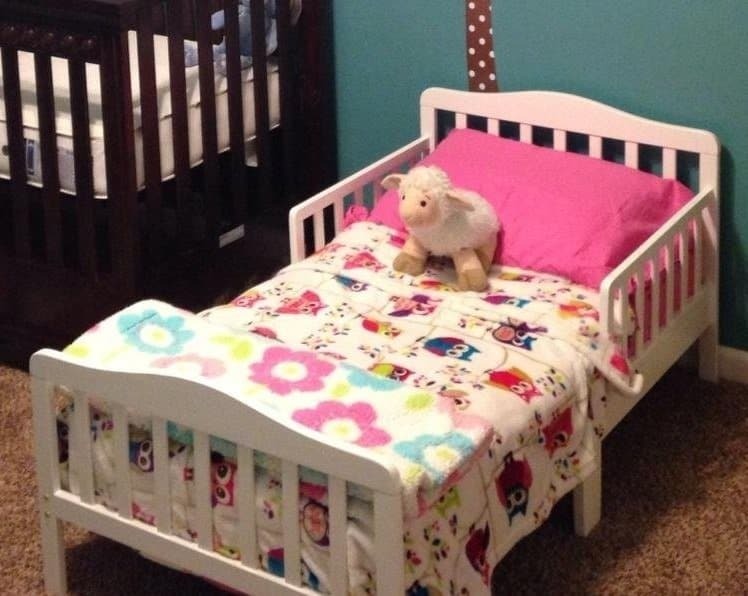 The only reason it was time for the “baby” to graduate to the big kid bed was because a new baby was on the way. The new arrival automatically forced the now toddler out of the crib. If space is an issue and you are trying to put a toddler and baby in the same room, then by all means, a toddler bed is a no-brainer. It’s also less of an investment to purchase a toddler bed, rather than a big kid bed, mattress, and bedding. If you’re not sure whether your child is ready for a toddler bed or not, here’s a list of five signs that show that he or she is ready to make the transition. Other things that get me excited about a toddler bed are that our son can climb in and out with ease. This means no more worries of the toddler falling out of his bed or him having to fall asleep on the floor after bouts of crying because he can’t get back in. Now, for good or bad, he can get in and out as he pleases. 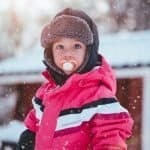 If you’re like me and have decided upon a toddler bed, here are five toddler beds that are some of the best I’ve come across. 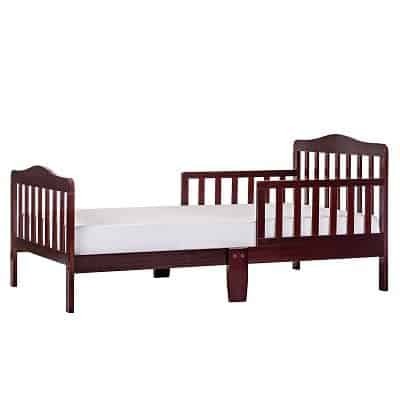 Cheap, sturdy, and low to the ground, the Orbell 3-6T Toddler bed is one of my favorites. I love that this bed has the two side rails, so you can be confident that your child won’t be falling out. Solid wood and easy assembly are what I am looking for. This bed even has 60 lbs. weight maximum, which means we can use it for a long time. And let’s be honest, there’s a good chance my little guy may be jumping on the bed, so it’s good to know it can handle the weight. It even comes in gray! It’s so nice to have some of the most modern colors and options for boys or girls. The assembly was easy, as all it needs is a screwdriver and Allen wrench. It took just over an hour to put together. The bed itself is fairly sturdy but lightweight and easy to move around. It certainly isn’t something I’d sit on for long hours at a time, but it does work well as a solution for a two-year-old who’s trying to climb out of bed. 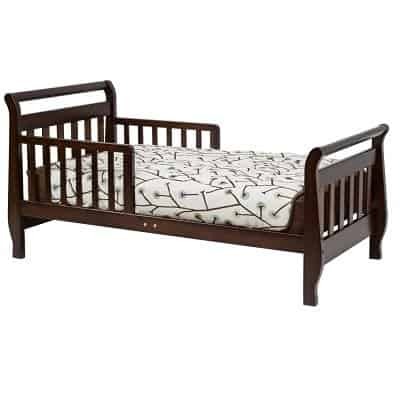 A similar bed to the Orbell, with two side rails, and a low profile for getting in and out, this bed has the traditional sleigh style that a lot of people are looking for. Maximum weight limit is 50 lbs. They also have the Davinci Modena. If your taste is more contemporary, then this is a really nice choice. Like most beds on this list, this one takes about an hour to put together. Overall, it feels a bit more flimsy to me than the Orbell model above, but it’s easy enough to add additional plywood across the sides if your toddler likes to jump or is larger in stature. 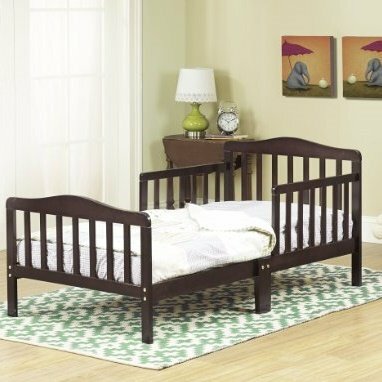 Another great solid wood option, the Dream On Me Classic Toddler bed comes in six colors including black, cherry, espresso, and white. 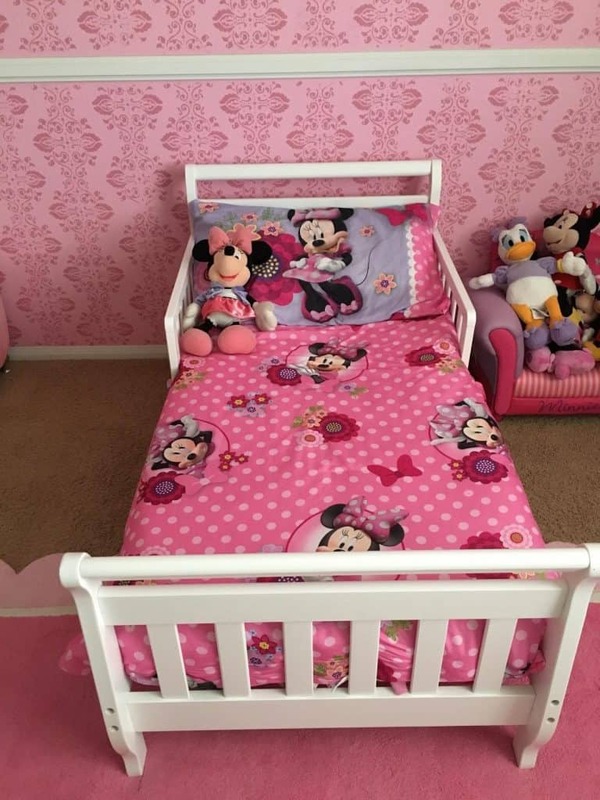 The rails on this bed can adjust in height, so you can be comfortable knowing they are high or low enough for your child to get in and out comfortably. 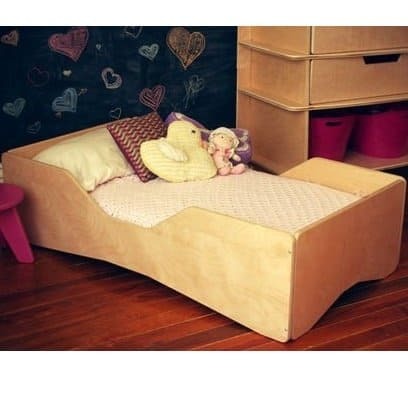 In addition, this bed also has a center leg to give added support, which it needs with your active toddler. The max weight is 50 lbs and it’s fairly sturdy, although I’d say it’s not a good idea to climb in it to snuggle your child to sleep or anything. For assembly, it’s a bit harder than some of the other models on here, but also very sturdy so the extra work will be worth it. There’s a metal bracket for a center leg that you’ll need to bust out a drill for in order to get started. If that doesn’t intimidate you, go for it and you won’t regret it! If you’re looking for a bed to use with multiple kids and want something that will last a long time, try the Sodua Aero. It’s a bit more expensive but well worth the investment. I love this bed! If you are looking to make an investment in a truly beautiful piece of non-toxic, eco-friendly, made in the USA furniture, then this is the one. This bed is sturdy-capable of holding up to 300 lbs.! This means that not only can your toddler lay in this bed, but so can you! I can picture the late night snuggles and stories together at nap time. It has no traditional rails, just beautiful modern design. Can you tell I’m excited about this one? Okay, so with beds covered, one of my favorite and most necessary items for that new bed, especially a toddler bed, with sippy cups, and the inevitable toilet training and accidents, is the American Baby Company Waterproof fitted mattress pad cover. Please tell me you have one. It’s always nice to have one for the bed, and one for the wash, because accidents are bound to happen. I’ve used this one and it’s so soft, and liquid does not leak through. And guess what? NO crinkle sound. You know what I’m talking about right? This mattress pad is made with a very soft, quilted polyester top and bottom, with the vinyl waterproof layer on the inside- genius. Ok and now for the fun part–the bedding. Obviously, this comes down to your taste and preference, but aden+ anais now has bed in a bag! 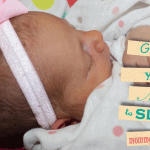 I have used the aden + anais blankets and sleep saks, and I love them! They are soft 100% cotton breathable muslin, so your little miss or mister won’t get overheated. The “for the birds” pattern for girls couldn’t be sweeter. The best part other than the bedding being adorable is that you don’t need anything extra. The bed in the bag even includes a transitional toddler pillow that is purposely flatter than a typical pillow, allowing for a natural transition. Going from no pillow in the crib, to a pillow that won’t hurt your little’s neck makes sense. The bedding even comes pre-washed, so you can skip that step and not have to worry about any shrinkage or fading. With all the new colors and styles, I’m excited about this transition. The only downside is I wish I could buy the cute “for the birds” bedding for my little guy. 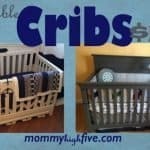 Overall, I think you’ll be happy with any of the toddler beds I’ve listed above. Still, I do see the reason that many of you want to skip to a twin-sized bed instead. So what do you think? 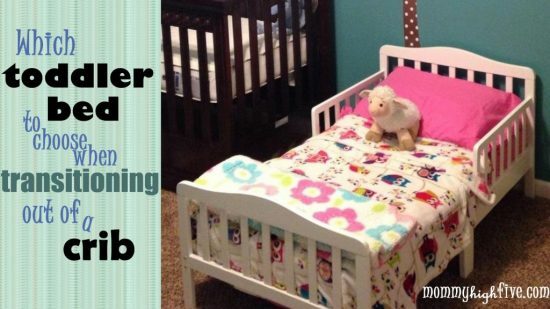 Are toddler beds worth it? Let me know what you think.